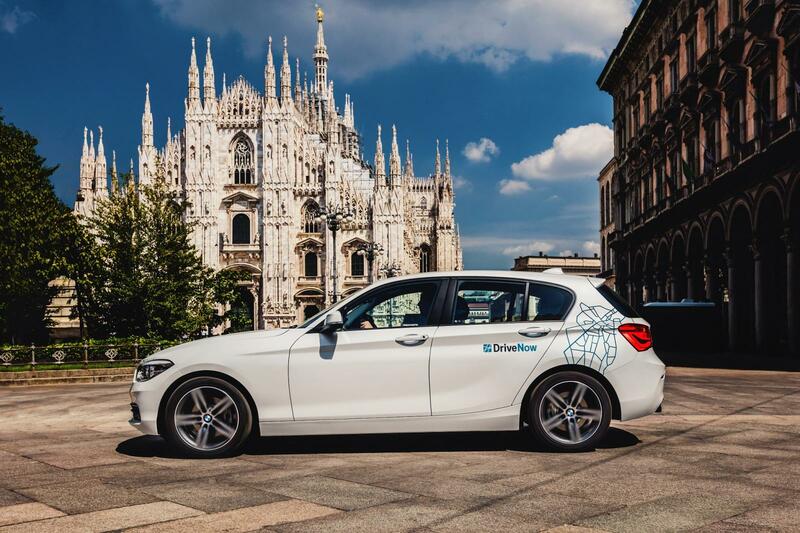 DriveNow makes it simple to rent a car at any time while in Milan. There is always a car waiting to be rented nearby. No car rental stations, no waiting in line, just find a car near you and unlock the car with the app. Then use the car as long as you need it, and park it back with the business area. DriveNow is changing the way car rental is done in Milan! Just download our app and find a car near you. Simply reserve and unlock the car with the app, enter your pin, then start the engine and you are on your way. DriveNow makes it easy to rent the right car for any occasion! Where to park and find rental cars in Milan? Our cars are parked and ready to be rented all over Milan. So you can just found one parked in the streets and rent it. We are perfect for one way trips or round trips. We are a flexible car rental, to match all of your needs in Milan. You will be able to see our business area below where cars can be found and where you are able to end your rental. Planning on flying to Milan Linate Airport? We offer our car rental service at the Milan airport as well, you will be able to find our cars located at parking area P3. Just land safely at the airport and reserve the car with the app and walk towards our DriveNow cars. Find out exactly where our cars are located at Linate Airport! DriveNow offers a large vareity of premium cars to rent in Milan. You will be able to find BMW and MINI models all over Milan! All of DriveNow cars are equipped with the latest features including a GPS. Below you will be able to find all of the cars we have in our fleet in Milan! Our great value Daily Packages are perfect for escaping the city or family outings. Ideal for longer drives and spur-of-the-moment days trips. Book any of our Daily Packages when reserving a car using the app. Or for spontaneous bookings, select in-car at the start of your rental. Each package is valid for one rental only and includes driving and parking minutes, as well as a generous mileage allowance.